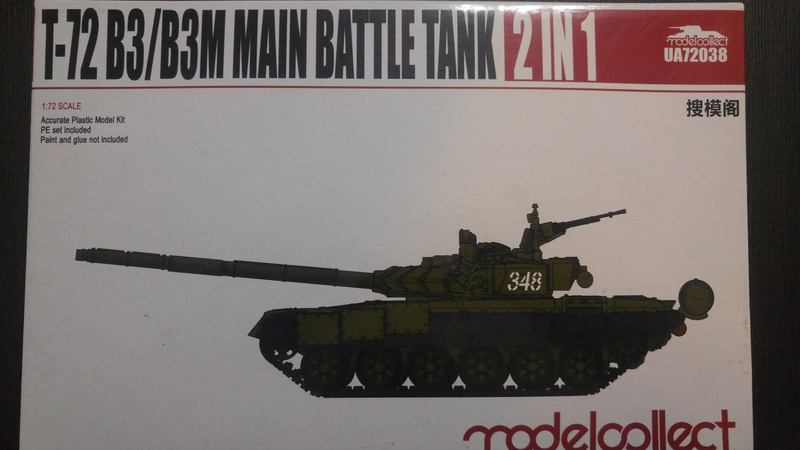 I was out of Manila this weekend and discovered a model shop which had a supply of 1/72 scale modern tanks. 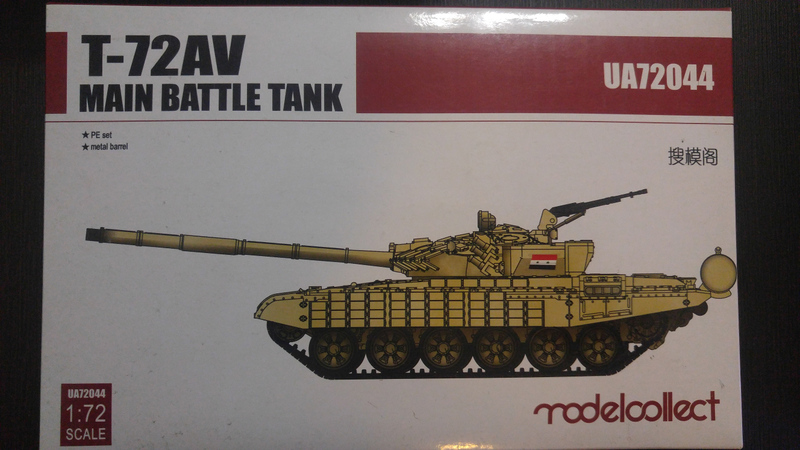 There were also a few packets of 1/72 scale plastic figures as well but it was the tanks I was interested in. 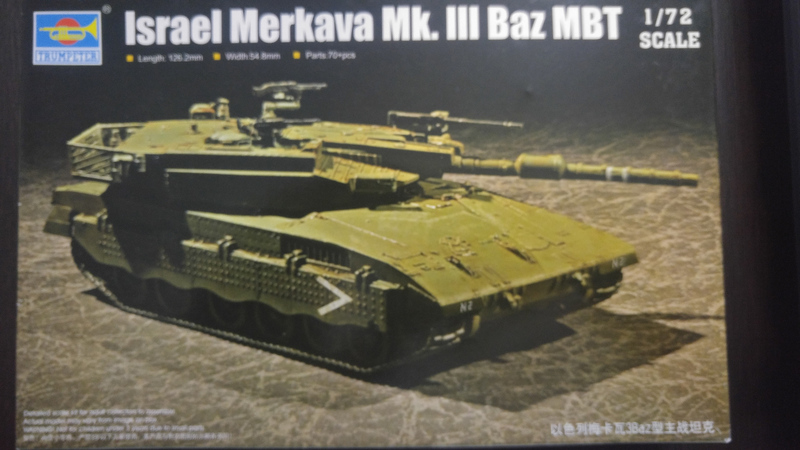 I picked up a Challenger and a Merkava for the collection. 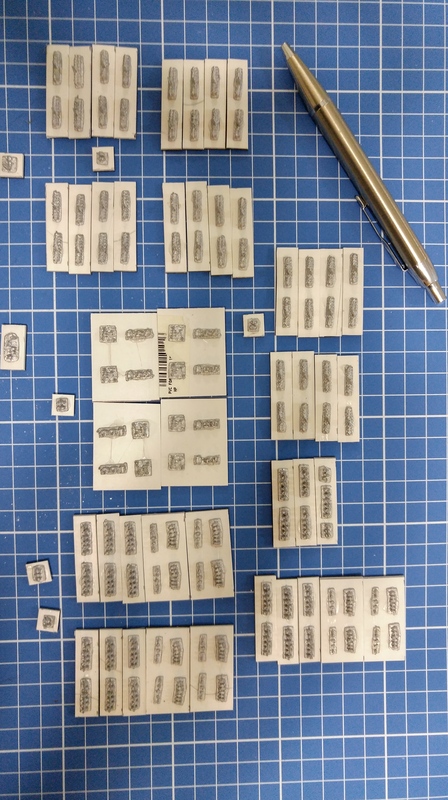 I will get around to doing an unboxing of these later but a quick look has me salivating with the detail. 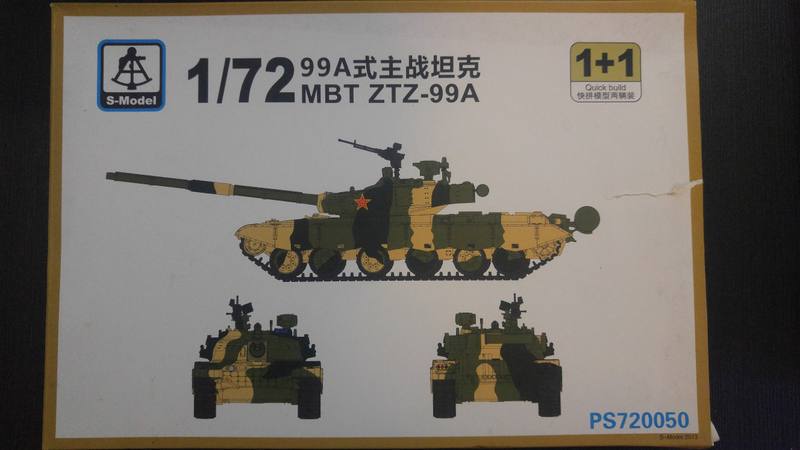 They go along with the M1 Abrams and the T-72 collection along with the lone T-80 and ZTZ-99. 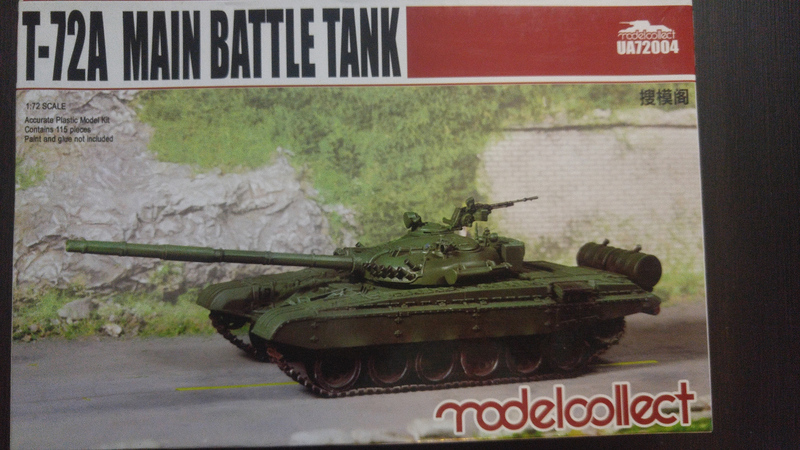 What I would like to add to round out the modern collection would be a Leopard 2 and an AMX-56 LeClerc. 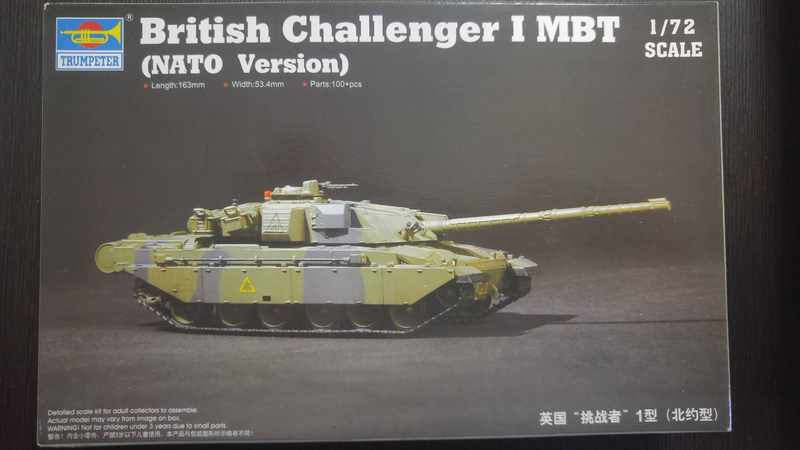 Now I just need to time to start to sit down and buid some of these (or buy some more early World War 2 tanks). 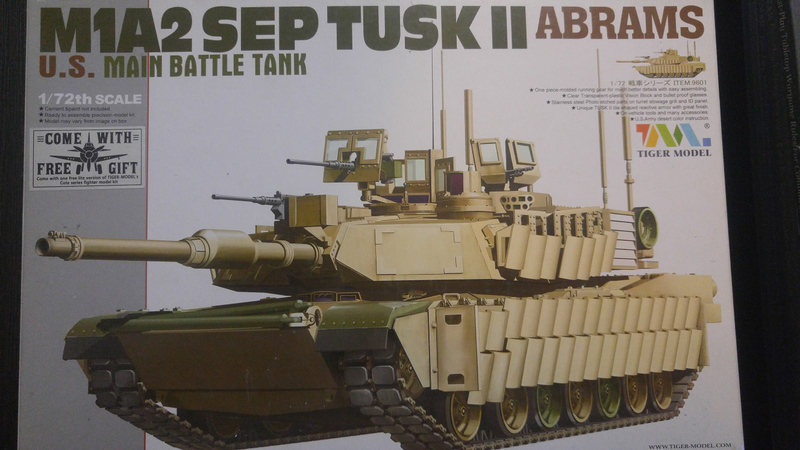 The Americans were the next to be prepared for painting. They are organised along the lines suggested in the Land Ironclad rules. 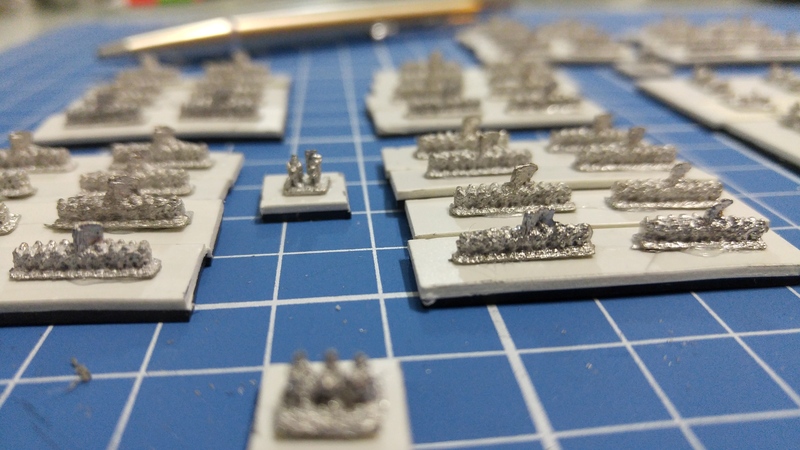 Ready for the sand and paint are a Battalion of Infantry (4 companies); two companies of marines; an artillery regiment (4 batteries); and 4 regiments of cavalry (three of then having a dismounted equivalent – two dismounted bases to every three mounted bases). 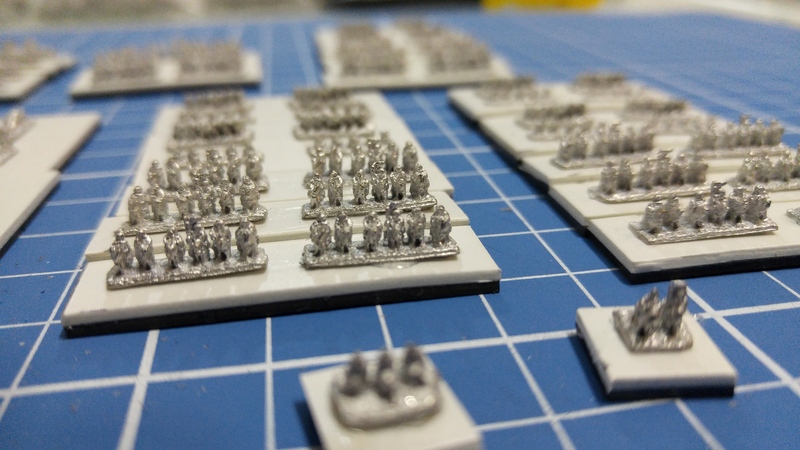 s with the Russians, the figure models represent 10 men so the infantry companies are about 400 men strong and the cavalry regiments around 300 troopers. Next off will be the conventional forces of one of the newcomers to Peshawar but an old power – the Prussians. In one of those usual oddities of Google and the Internet, I was hunting for some information the other day on Soviet World War 2 aircraft camouflage and, as you do at a time like that, came across a reference to the USAAF flying Spitfires in World War 2. “Tally ho”, I thought, “here’s an oddity to look further into”. Look into it I did. I’ll freely admit that this was news to me. I had always associated the USAAF pursuit (fighter) groups with P-40s, P-47s, P-38s and P-51s, never with the Spitfire. The 4th Fighter Group was fairly typical, It was constituted and activated in 1942, Activation was in England and the core of the Fighter Group were formers members of the RAF Eagle Squadrons. They commenced operations with Spitfires but moved across to P-47s in March of 1943 and P-51s in April 1944. 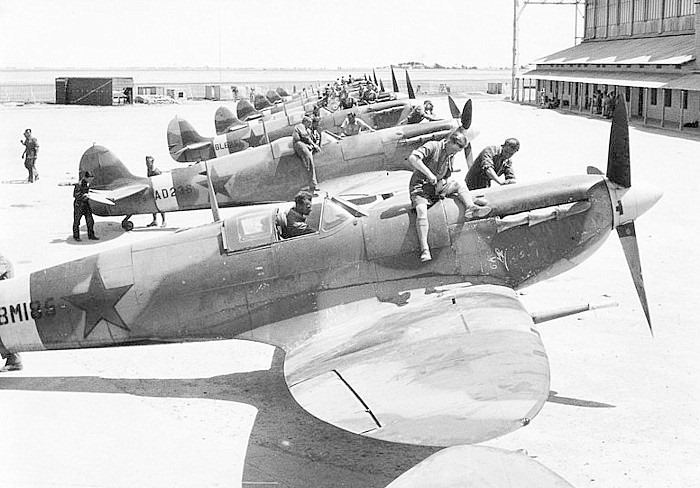 Of course, the US Army Air Force was not the only non-Commonwealth country operating Spitfires in World War 2. I mentioned 1942 above. 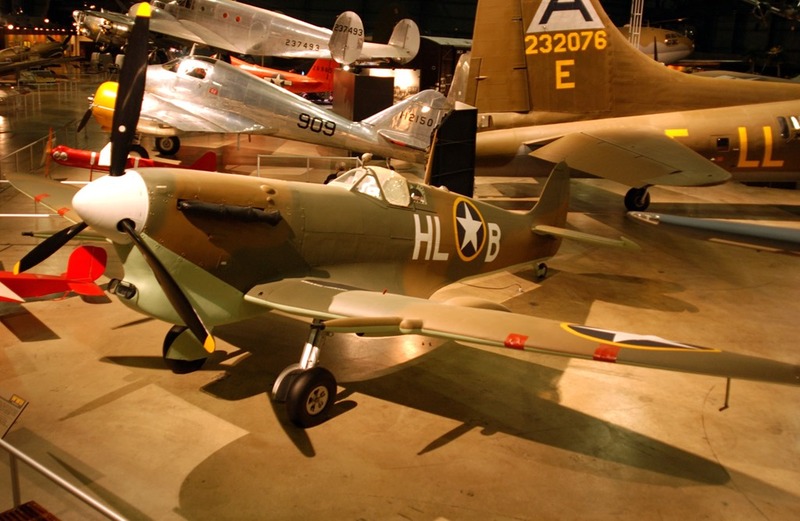 In 1942 Spitfires were being sent to the Soviet Union to assist that war effort. 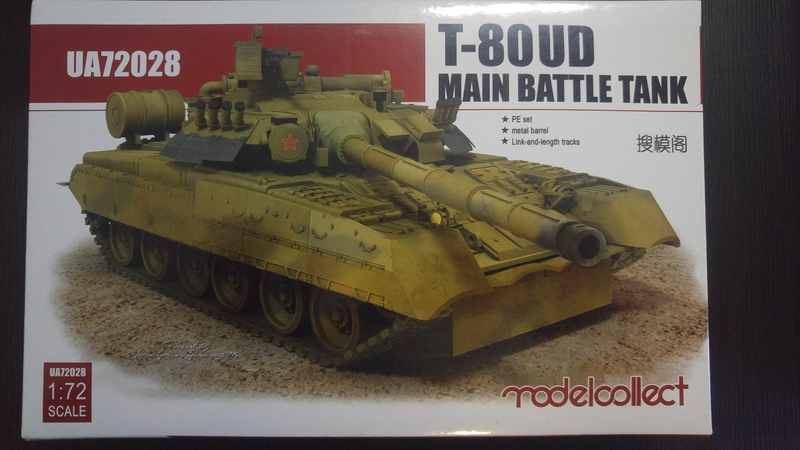 I can see I will need to add some to my Soviet mid World War 2 army. The picture below is of a line of Spitfires, camouflaged and marked with a red star ready for export to the Soviet Union. A drone to the general public but about a month or so after a UCAS took off from a carrier, then did a touch and go on the carrier, the US Navy has landed a UCAS on the USS George H. W. Bush (CVN 77). Carrier aircraft pilots are starting to check their pensions. Along with two shore batteries. 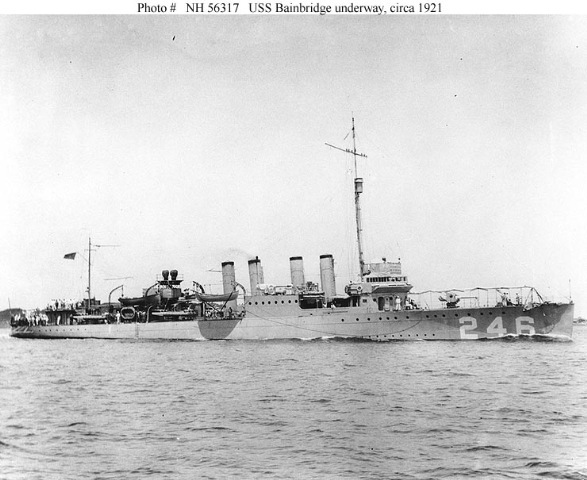 The Vinh-Long particularly interested me as I recalled reading somewhere about the USS Bainbridge (DD-246) having rescued a large number of passengers and crew from the vessel in the 1920s and the skipper of the Bainbridge being decorated for his efforts. A little research was therefore in order. Off to the US Naval History and Heritage website – one of my favourite sites, especially for US Navy vessels history. The Vinh-Long was a 5500-ton screw steamship and was built in 1881. 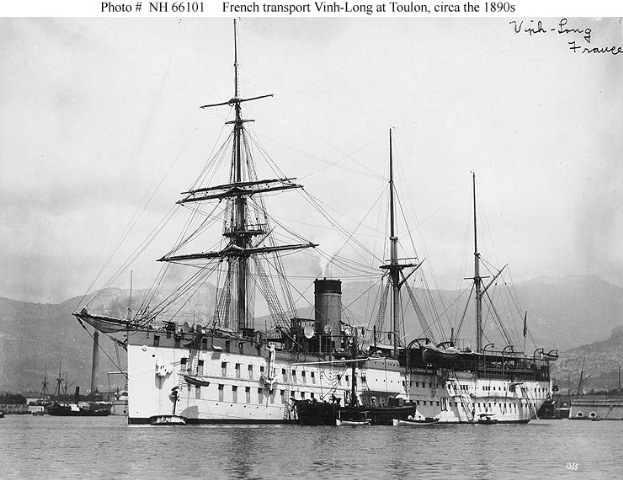 I was one of several military transports needed to support France’s colonial empire. During the First World War the Vinh-Long server as a hospital ship. After the November 1918 Armistice she returned to her previous role as a troops transport. On 16 November 1922, while carrying 495 persons, including civilians as well as military and naval personnel, the Vinh-Long caught fire in the Sea of Marmora, Turkey. She was carrying armaments in her magazines and as the fire spread, eventually it reached her after magazines causing explosions. This caused the fire to intensify and spread throughout the rest of the ship. 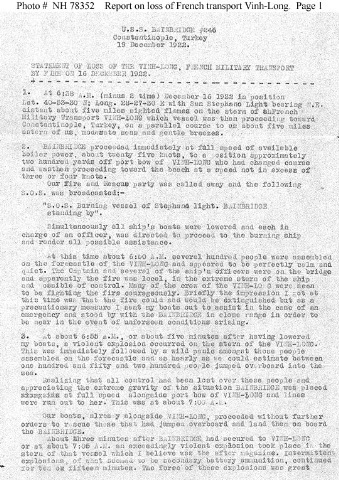 Even though the blaze as intense and there were known risks of further explosions (the forward magazines for example. 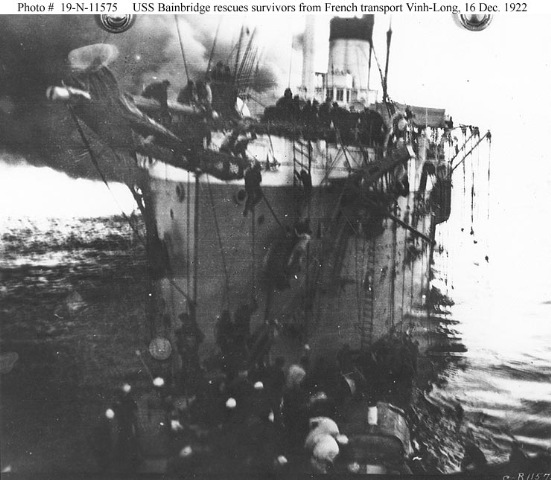 The USS Bainbrdge (DD-246) pulled alongside the bow of the Vinh-Long and managed to save 482 of the passengers and crew. Thirteen people, among them two women and four children, lost their lives in the fire and subsequent efforts to abandon ship, some having life boats fall on them when they were in the water. One other man died of exposure on board the Bainbridge. The Bainbridge was approached eventually by HMS Sepoy but by that time the Bainbridge was underway to Istanbul with the survivors so needed no further assistance. 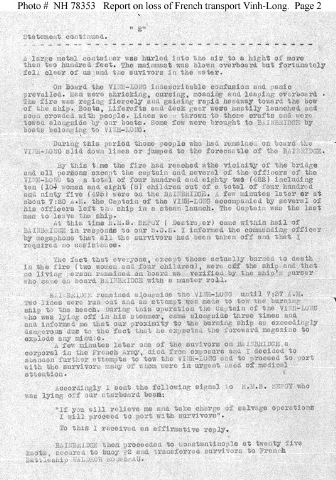 The rescue of Vinh-Long‘s passengers and crew was widely celebrated at the time. 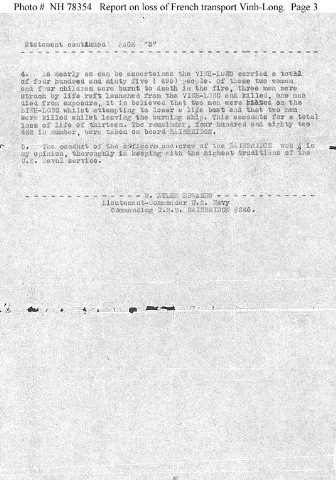 The Bainbridge‘s officers and crew were officially commended for their performance and the captain of the Bainbridge, Lieutenant Commander Edwards, was subsequently honoured with the United States’ Medal of Honor along with the French Legion of Honor and the British Distinguished Service Order. 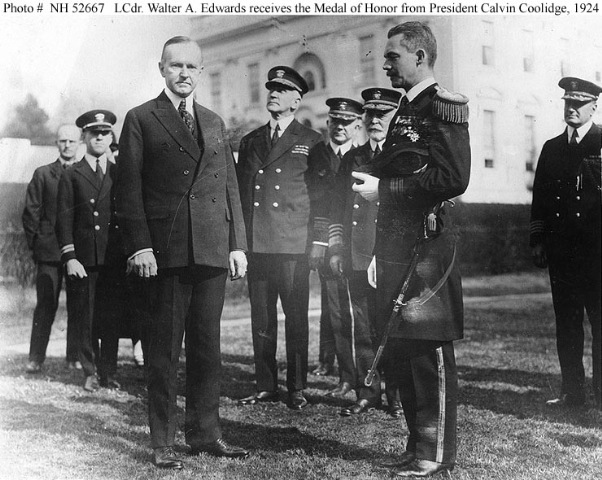 Following on from here are pictures of Lt Commander Edwards receiving his medal from the US President, Calvin Collidge and then the last three photos are of Edwards’ actually report of the incident. I can see I will need to prepare and order for Jim shortly. It was a small filler in the Sydney Morning Herald today with a title of Residents of Dull hope for a link with Boring. Nothing more to be said really.